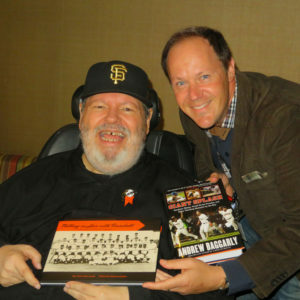 Last week my friend Andrew Baggarly aka “Baggs” met at the Yard to exchange books. He got my new book Falling in Love With Baseball and I received his brilliant book Giants Splash. You owe it to your self to pickup a copy of both! ← ALS Association Honors Author & Editor of “Falling in Love With Baseball”!! !